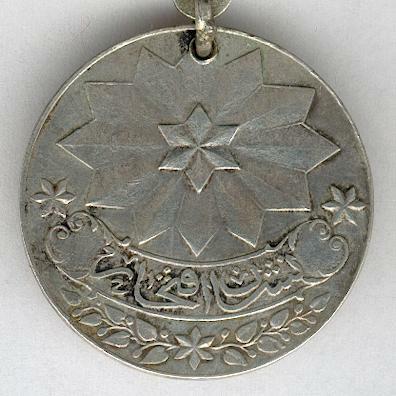 Circular silver medal, pierced for ribbon suspension with ring and flat suspension bar; the face with the tughra of Sultân Abdül-Mejîd I above the date ‘1270’ (AH1270 = 1853AD) within a beaded circle imposed on crossed standards and a laurel wreath, a left-facing crescent and faceted six-pointed star above; the reverse with a faceted six-pointed star imposed on a faceted twelve-pointed star above a ribbon inscribed in Arabic letters ‘Nishani Iftihar’ (Order of Glory), a six-pointed star to either side and one below on a spray of laurel; on replaced correct ribbon. 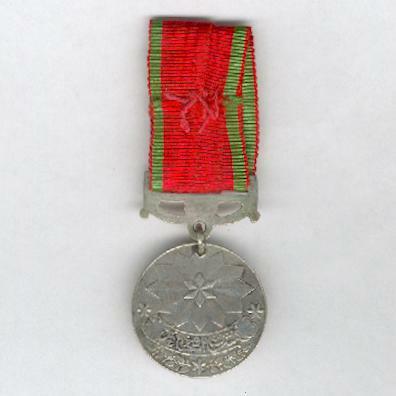 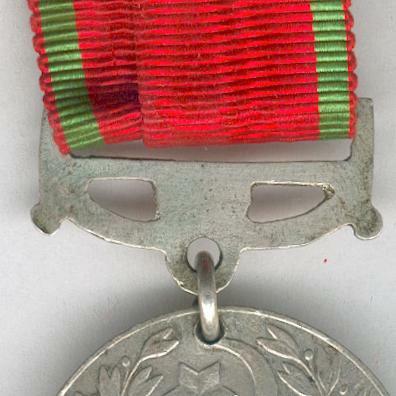 The Medal was instituted in 1853 and awarded for participation in the Danube Campaign early in the Crimean War with Russia and, later, for other campaigns where no specific campaign medal was struck. 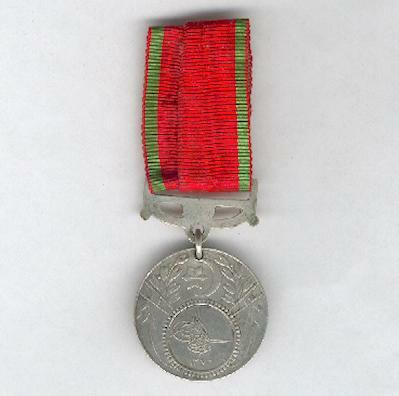 The medal is therefore sometimes referred to as the General Service Medal or Danube Medal. 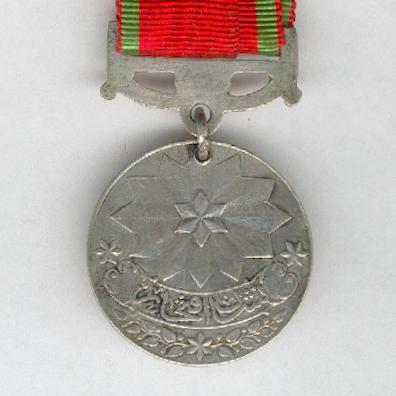 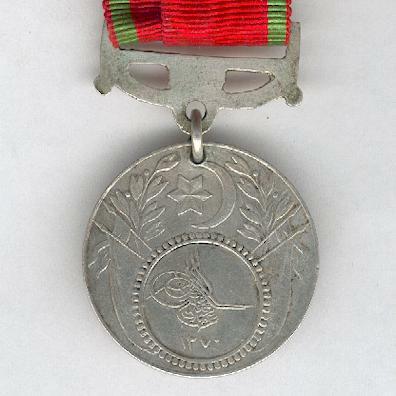 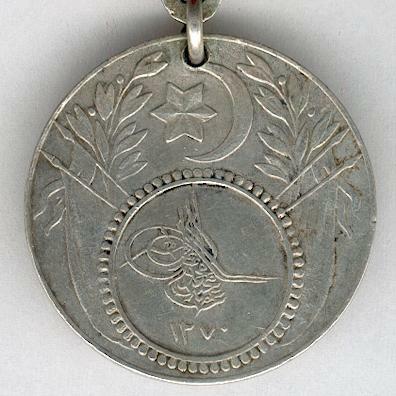 A very good example of an early Ottoman medal.